Sewerby is just 2 miles North of Bridlington and is home to many tourist spots not to be missed. Sewerby Hall, Park & Gardens is a firm favourite with tourists and locals alike. 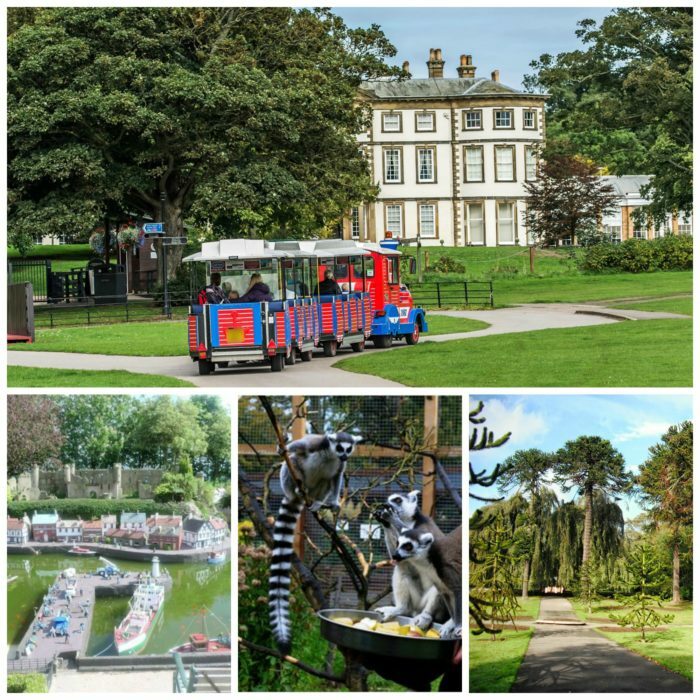 It has numerous attractions for the whole family including the gardens with the famous monkey trees, an extensive play-park area, the Amy Johnson museum, pitch and putt course, and a small but perfectly formed zoo, complete with penguins! You can travel on the quaint land train from Bridlington North Beach along the breath-taking clifftops to Sewerby Park. The Sewerby Clifftop Walk is an alternative way to get between Sewerby and Bridlington, giving a superb view of the coastline all the way. Bondville Model Village is a miniature masterpiece, with over 200 buildings including a castle, ruined Abbey and Harbour; see the villagers going about their everyday lives. Watch the train pull its carriages around the village and across the river where fishing boats and cruisers are moored. There is all day free parking when you pay to use the Village, and also a Tearoom on site.